Many employers sponsor matching gift programs and will match any charitable contributions made by their employees. Click here to find out more. Montalvo Arts Center's programs are made possible through the generous contributions of our donors: individuals, corporations, foundations and government agencies. Thank you for your support! Your gift advances the impact of the arts. It helps us to attract artists from around the world to the Lucas Artists Program residency, maintain our historic villa and grounds, present arts education to 20,000 students each year, and to commission and present a broad variety of programs for audiences of all ages. If you believe that the arts can add to the quality of our lives and empower the next generation please join our community of supporters. 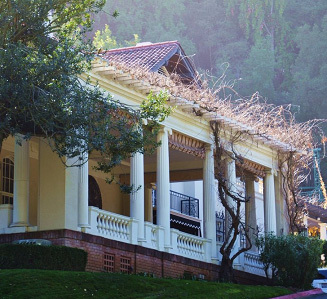 Montalvo does not sell, trade, rent or share donor contact information (including but not limited to mailing addresses, telephone numbers or e-mail addresses) to any third party. Montalvo uses contact information of donors for completing a transaction, distributing receipts and thank-you letters, providing information about news and upcoming events, reporting to government agencies (when required by law) and for internal record-keeping purposes only. Montalvo, upon request, will delete a donor’s name from Montalvo’s solicitation and mailing lists. Montalvo provides all donors the option to be listed as “anonymous” in any of its fundraising publicity and promotional pieces.